The gang is all here, for a road rally on Route 66! Of course we've got Rally, Minnie-May, Bean Bandit and the rest of the crew, but this volume features the return of driving damsel Riff-Raff! When you have this crew going head-to-head against a gaggle of other dagnerous drivers, and you've got yet another tome of lunatic traffic. 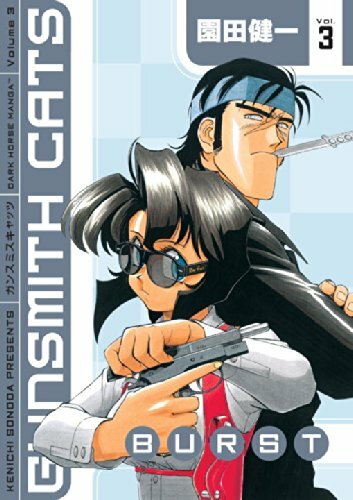 And what would a volume of Gunsmith Cats be without the requisite gunplay! This time we've even got the classic Russian rocket-propelled grenades!